The large living area has comfortable seating, fun art pieces and is cool and breezy. As in all colonial homes, the garden is the center of the home. On the surrounding corridors, you will find comfortable rockers to wile away the hours. 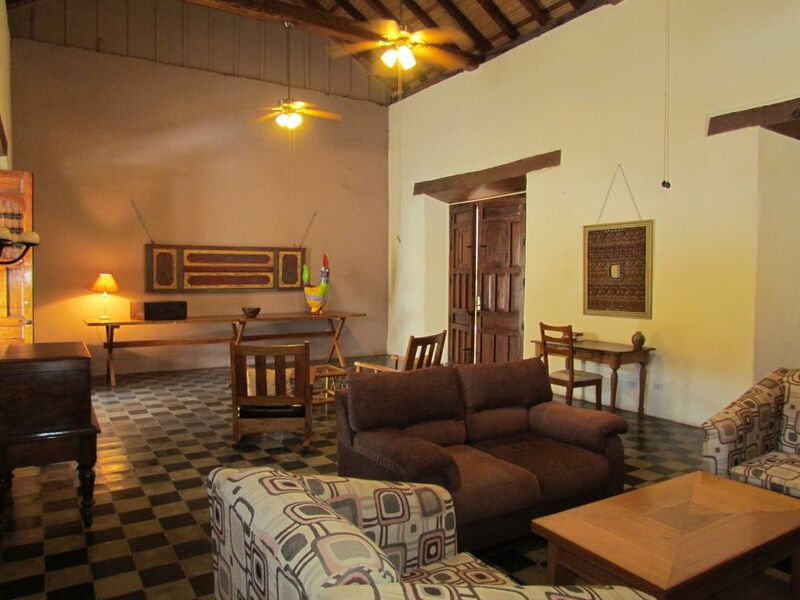 There is also a fully equipped kitchen and a dining area for four. The main attraction in the garden area is the sparkling pool that invites you to step in and cool down. The master suite is located on the ground floor and has a private bath, queen bed, cable TV and air conditioning. There are two additional full baths located downstairs; one for the use of the upstairs bedroom and one for visiting guests. Upstairs, there is an “attic” style room with a queen bed, air conditioning and a view of the pool and patio.